With Big Cartel, you can accept orders through your online shop or in person using our iOS app. On the web, customers can pay by card via Stripe, or with PayPal. If you have PayPal enabled, customers can pay with Venmo or PayPal Credit. Payments you accept via in-person checkout can be processed with Stripe or cash. 🤔 So, which one should I choose? 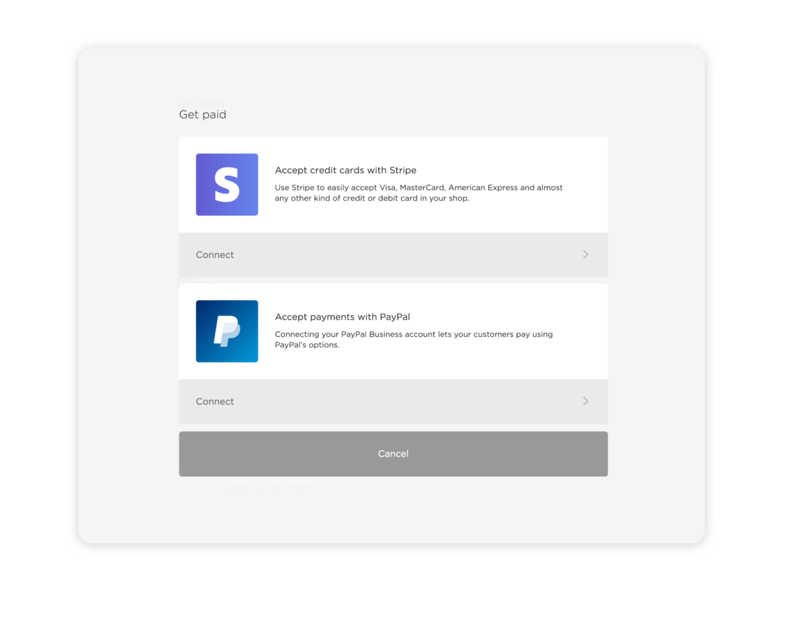 When in doubt, enabling both Stripe and PayPal covers the broadest range of payment options your customers may want to use. Stripe is by far the easiest way for customers to pay - they just add products to the cart, enter their card number securely at checkout, and boom, done! On the other hand, many swear by PayPal and like the ease of logging in to an account to use a saved payment method (or even check out as a “guest” using a card), so you can give your customers that option too. Ultimately, it’s up to you and what makes the most sense for your business. And don’t forget: you can add, update, or remove checkout options from your shop any time in the Account area of your admin. Click Set up your payment options. 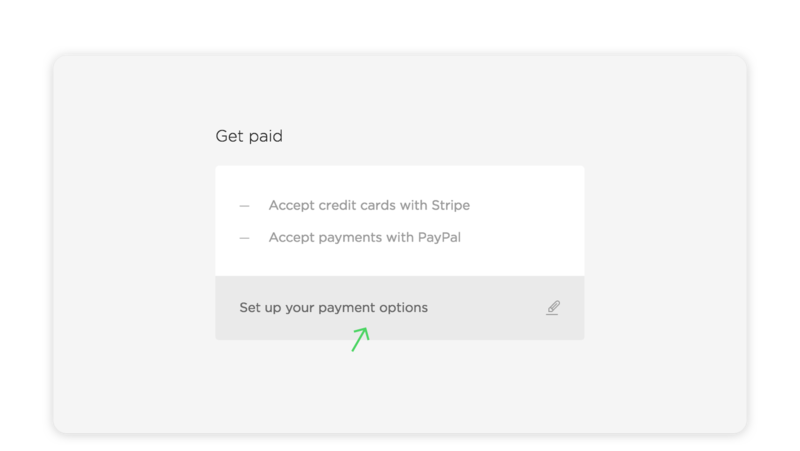 Click Connect next to the option you want to set up - Stripe or PayPal. Follow the on-screen steps to sign in to an existing Stripe or PayPal account, or create a new one. When you’re finished, you’ll be returned to your Account area automatically. Success! Tap Set up your payment options. Tap Connect next to the option you want to set up - Stripe or PayPal.